As part of a national day of action for immigration reform, we led an action from Philadelphia’s Love Park to the Philadelphia ICE headquarters to demand an end to all deportations and for the passage of inclusive immigration reform. 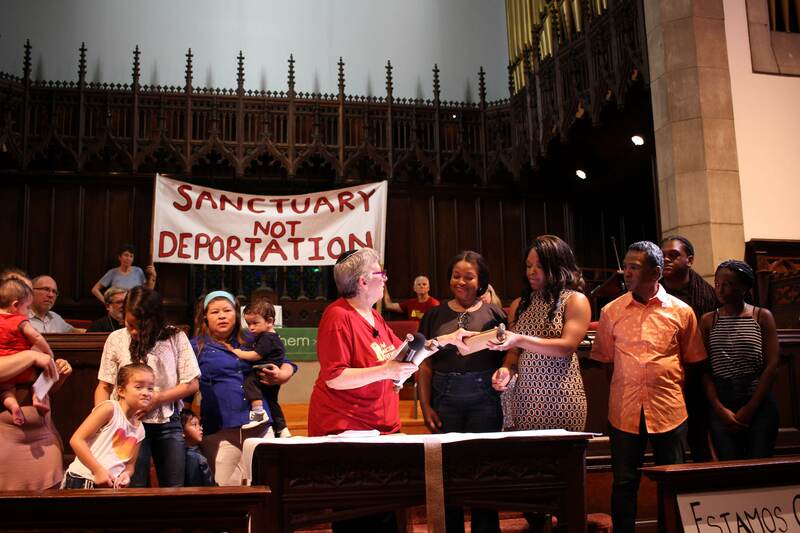 We were happy to organize the action along with our partner organizations from Pennsylvania United Against Immigration Reform as the Pennsylvania contingent of the national movement. About 300 people – predominantly immigrants – from across Southeastern PA united to make our voices heard: stop separating our families and pass meaningful reform now!